What a wild ride it has been! It had all – the wild dream of building a new company from scratch, the fulfillment after our first happy client and the excitement for the future ahead when the team grew in numbers. After 140 projects behind us, we became true masters of delivering value through software excellence. Still, a moment comes in every company’s life cycle, where it has to transcend its roots or remain a page in the history books. In that regards, for Obecto the past year was both very scary and very exciting. We have reached the limits of the traditional software studio model and the moment for change has come. With the exponential growth of technology, we saw an unprecedented wave of entrepreneurs looking to adapt that technology, exploring new frontiers. Still, we see that the current stage of the software development industry is lagging behind and not adequately serving these same entrepreneurs. The traditional outsourcing companies lack the flexibility and the mindset, while freelancers can’t offer the continuous supervision an early stage startup needs. The experience we’ve accumulated for the past 8 years, working with entrepreneurs and building startups from scratch, now allows us to offer tech entrepreneurs new, more efficient ways to develop their products. And while our business model has evolved, our core values stay the same. We stay true to our passion for software and PEOPLE. We realize that where we are today is only because of our visionary clients, partners, and team members. 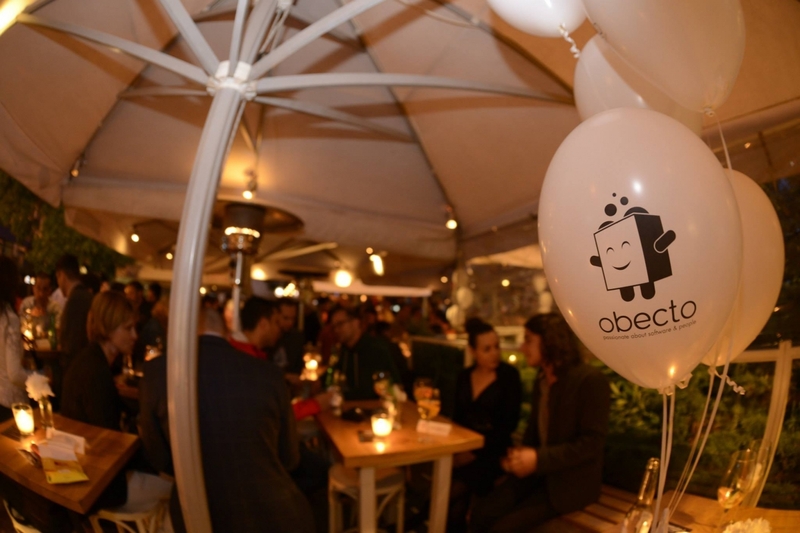 That is why, on the eve of our 8th birthday, we at Obecto, would like to say a sincere “Thank you!” to all the amazing people who through their unwavering support, continuous feedback and tireless effort, helped us become the company we are today!